The trophy is named after Eamon Martin. Eamon, a Kerryman from Caherciveen, came to Dungarvan in 1976 to take up a teaching post at Dungarvan CBS. He remained in his adopted West Waterford town until his untimely death in 2012. He trained CBS football teams throughout his teaching career, the highlight being the winning of the Corn na Carriage Under 16 ½ Munster Football championship in 1991. 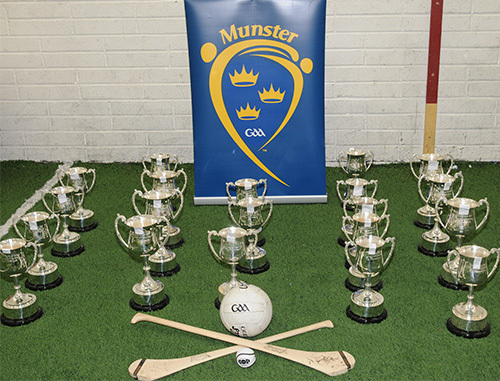 Despite the fact that hurling was the dominant sport in Dungarvan CBS the school football teams were very competitive at Munster “B” Level over the years. Eamon played football and even tried hurling with his adopted club, the Brickey Rangers, for many years. He was a selector on the Waterford teams which won the All-Ireland Junior Football Championship in 1999 and 2004.